Profile of Steve Winwood, founding member of the Spencer Davis Group, Traffic and Blind Faith, whose career sums up British rock 'n' roll and R&B from the 1960s to the present. 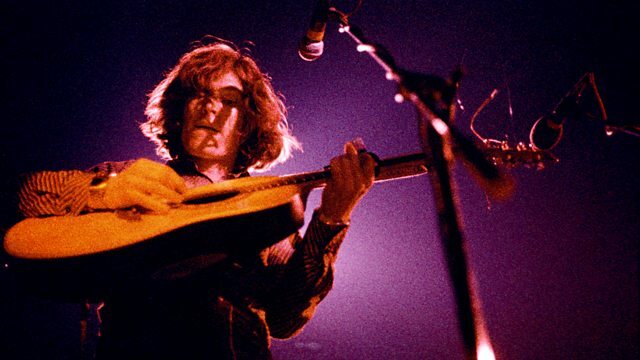 From childhood prodigy to veteran master, Birmingham-born Steve Winwood's extraordinary career is like a map of the major changes in British rock 'n' roll and rhythm and blues from the 1960s to the present. This in-depth profile traces that journey and reveals a master musician blending Ray Charles and English hymnody into a unique brand of English soul. From the blues-boom-meets-beat-group chart hits of the Spencer Davis Group, through the psychedelic pop of early Traffic and into Berkshire as Traffic become the first band to 'get their heads together in a country cottage', then via a brief sojourn in supergroup Blind Faith and back to Traffic as a jam band who conquer the emerging American rock scene, Winwood's first ten years on the boards were extraordinary. As the 80s dawned he reinvented himself as a solo artist and became a major star in the US with hits like Higher Love and Back in the High Life. These days he's back in arenas, touring with old friend Eric Clapton. Paul Bernay's film blends extensive interviews with Winwood in his Gloucestershire home and film of Winwood's first return to that Berkshire cottage since 1969 with rare archive footage and contributing interviews with Eric Clapton, Paul Rodgers, Paul Jones, Paul Weller, Muff Winwood, Dave Mason and more.